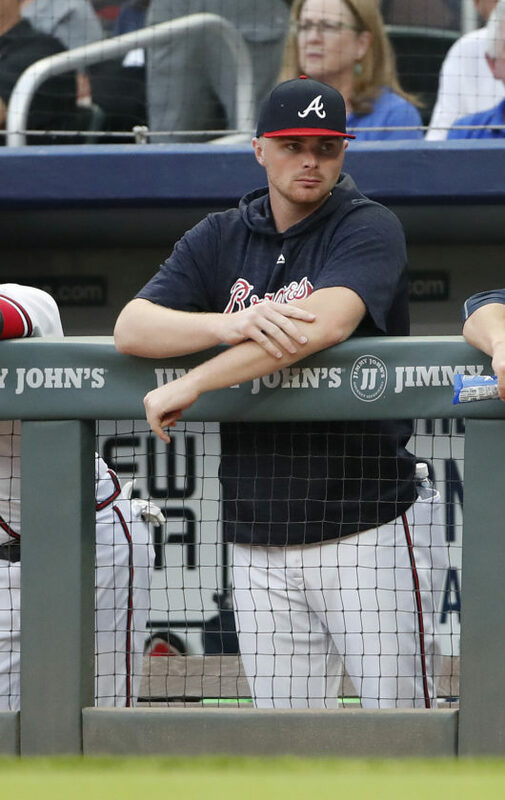 The Associated Press Atlanta Braves pitcher Sean Newcomb watches from the dugout during the first inning of a baseball game against the Miami Marlins July 30 in Atlanta. Newcomb has recently apologized for offensive tweets he made while in high school. NEW YORK — At 13, Charlie Fish in Cincinnati has just been given the parental go-ahead to use social media for the first time. He’s also a competitive golfer, avid “SportsCenter” watcher and well aware of the attention received by offensive tweets posted years ago by some Major League Baseball players, some when they were teenagers themselves. But is he old enough and mature enough to put all of those things together? Some parents have seized on posts by Milwaukee Brewer Josh Hader, Atlanta Brave Sean Newcomb and Washington National Trea Turner as teaching moments about how living life online means your posts may never go away. They’re just not sure whether their young, uber-sharers are listening. Charlie’s dad, Bill Fish, is hopeful that Charlie gets it. He’ll hope the same for his 9-year-old son when he, too, reaches the magical Fish family age of 13 and is allowed on Snapchat, Instagram or whatever the stream du jour will be. Fish uses a shorthand with his kids that’s popular among parents, one that seems old fashioned: “My stance is to never put out anything you wouldn’t want your grandmother to read.” Those words are easy, but as a former head of a company focused on reputation management, Fish knows a thing or two about how old social media posts can rear later in life. What grandma may not know, along with youthful social media natives, is at the heart of the baseball controversy, along with why someone would make racist, sexist or anti-gay statements to begin with. Deleted tweets, private messages — just about anything — can be unearthed these days. For kids, the potential dangers of that are endless, from college admissions to rookie job interviews, both rites of passage likely not on the mind yet for 13-year-old Charlie. Josef Blumenfeld in Natick, Massachusetts, outside Boston, is a communications expert serving educational technology companies. He’s also the father of two girls, 15 and 17. His oldest is on Twitter and posts a lot about makeup, youth activism and mental health, and the Boston Bruins. The recent baseball tweets gone viral have not surfaced in their chats, but the subject of old posts resurfacing certainly has. “Even disappearing photos on Instagram are discoverable,” Blumenfeld said. The challenge for parents is to recognize that their kids may not consider social media a form of speech, said Ari Yares, a psychologist, parenting coach and father of four in suburban Washington, D.C. But are the regrets sincere, asks Maureen Paschal, who has four kids ranging from 14 to 24. She, too, has brought up the baseball tweets with some in her brood.